constants on the other (Keep using this property as many times as needed). ->We have done lots of problems using this strategy so far, we are just making it more formal. •This will magically make all the fractions disappear! 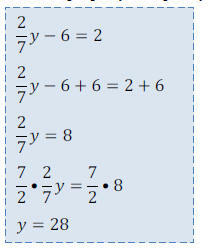 fractions anyway, so why not just use it early to clear the fractions. 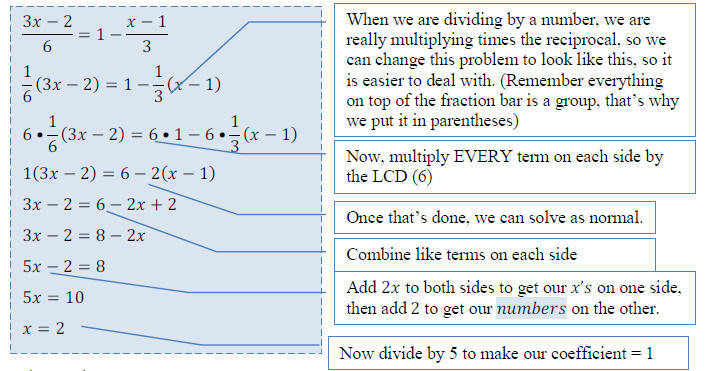 Instead of trying to add the fractions, I’m going to get rid of them – watch! not fractions) by using the addition property of equality. need to worry about the decimal point once it is gone! 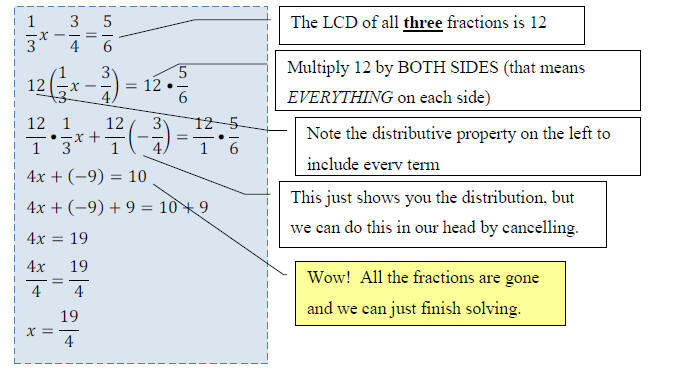 OR you can distribute first then multiply by the LCD. 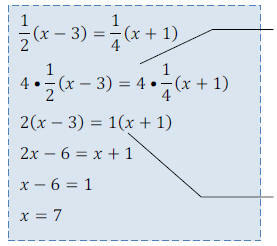 •parentheses when we distribute (the associative property). get the same answer. Whichever way you want to do it is fine. •Sometimes it can look more complicated, but it’s basically the same type of problem. This statement is true, but we have no x left. This means that ANY Real number will work in this equation. So the solution set is ALL REAL NUMBERS. This kind of equation is called an identity. find out after we simplify both sides.